Greetings! Welcome to Day 4 of 12 Days of YEA Camp Heroes! Who are the bee’s knees/the cat’s pajamas? YEA campers! Thus, we bring you 12 Days of YEA Camp Heroes as part of our end-of-year fundraising camp-aign, If Not for YEA Camp… Your donation to YEA Camp helps passionate young people to develop the skills, confidence and community they need to make a difference on a cause that they care about. You can support the campaign here. Today’s YEA Camp Hero is Lia from Washington state (top right), who was so committed to coming to YEA Camp that she flew all the way out to attend our Massachusetts camp this summer because the dates didn’t work for her to be at the closer-by California or Oregon sessions. We were so touched and inspired by her commitment to help others through something that had affected her so deeply, and were thrilled to be able to help Lia put her dedication to this issue into action to make a difference. 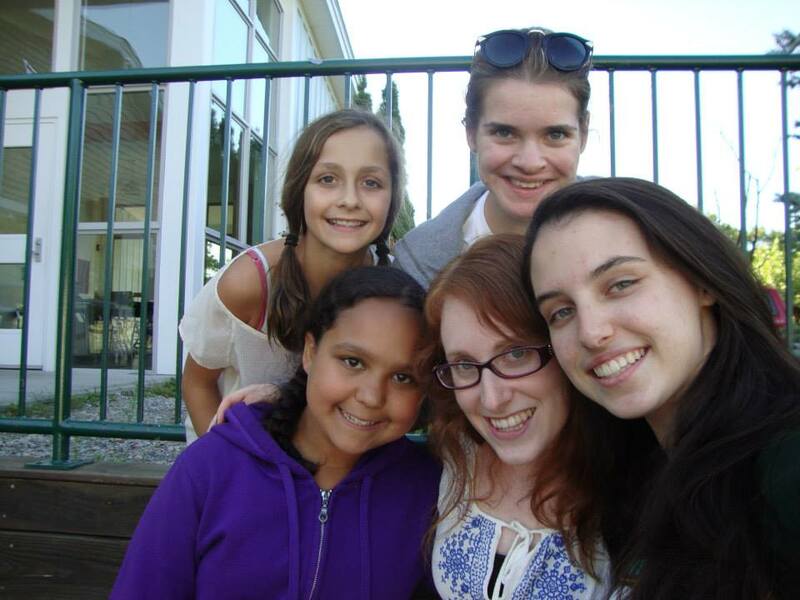 At camp, Lia decided that she wanted to start a club at her school to address the stigma of mental illness. She thought about the best way to frame the issue to get students involved, and, with some input form YEA Camp staff, Lia launched a Psychology club that has already accomplished so much in such a short time. “I found a girl at my school interested in co-running it with me, met with some teachers who said they’d love to help me out, and started the club. 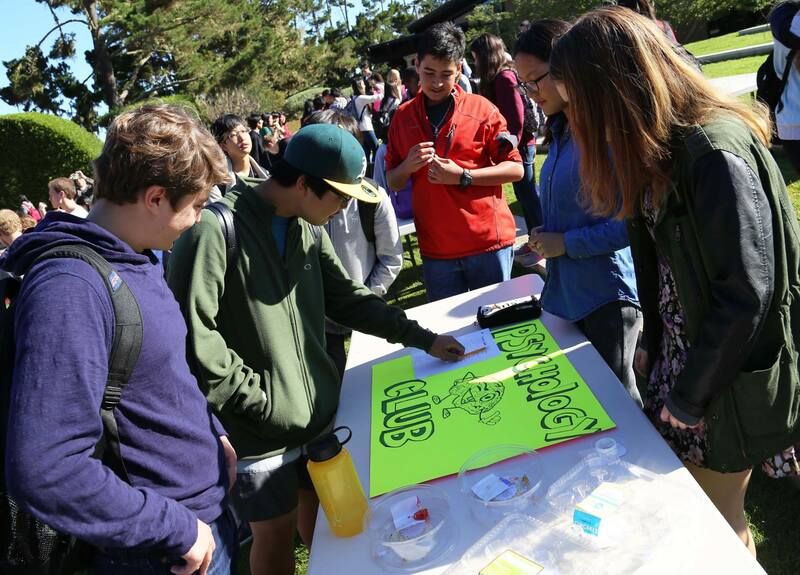 82 people ended up signing up!” The club held an assembly in which they showed this short video about teen suicide that Lia made with one of her club members. Lia’s club also held an inspiring week-long campaign at school to benefit the amazing organization To Write Love on Her Arms, which works to “present hope and find help for people struggling with depression, addiction, self-injury, and suicide.” The club launched the “Fears Vs Dreams” program, where they had students fill out papers of their “fears vs. dreams” to, in Lia’s words, “help convey overcoming your fears to pursue your dreams as well as why no one else can play their part. It helped show people there’s hope and made them think about why they’re special. And this is only some of what she has done! We are so proud of all Lia has accomplished to raise awareness about this important issue — and this is just in the first few months of school! We are honored to have played a role in helping Lia take her efforts to new heights! If you are as inspired as we are, we hope you’ll contribute to our efforts to expand YEA Camp. 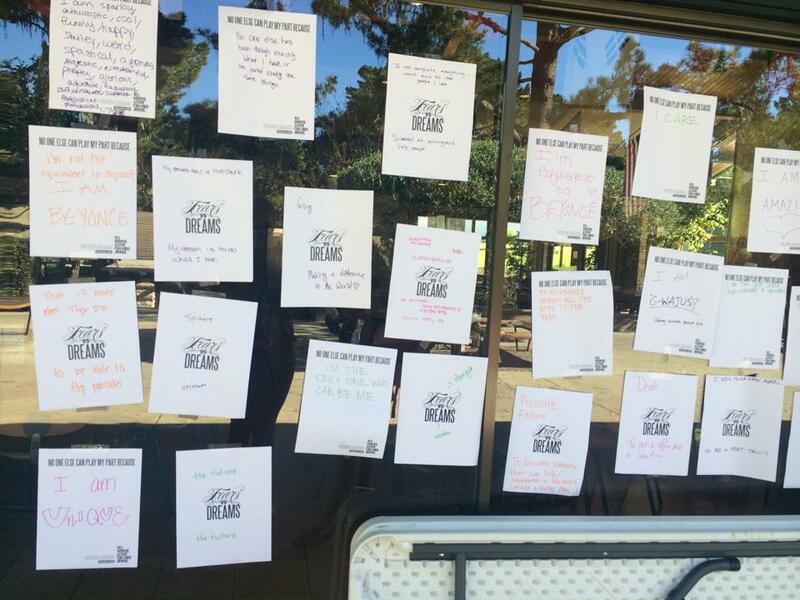 Your donation helps us to offer generous scholarships for campers who cannot afford to attend, and helps us reach more young people to advocate for issues they care about, even if they are stigmatized. Each YEA Camper chooses an issue that they are passionate about to make a difference on, and our program helps move them further along from wherever they started to make an even bigger impact. You can donate here to support our campaign. We so appreciate your support. Tune in Monday for day 5 of 12 Days of YEA Camp Heroes! Missed previous days? Here’s Day 1 about Megan in Massachusetts raising money for the homeless, Day 2 showcasing Joyce in New Jersey speaking about about bullying, and Day 3 highlighting Maddie in Colorado advocating for animals. Know a 12-17 year old who wants to take their passion to the next level? Tell them about YEA Camp and maybe we’ll meet them this summer!